Motorbikes can quite often be found within general auctions or even occasionally motorbike only auctions in cases of fleet disposals or company liquidations. Research the market place thoroughly If you are interested in a particular make or model, compare prices from advertisements and local dealers. 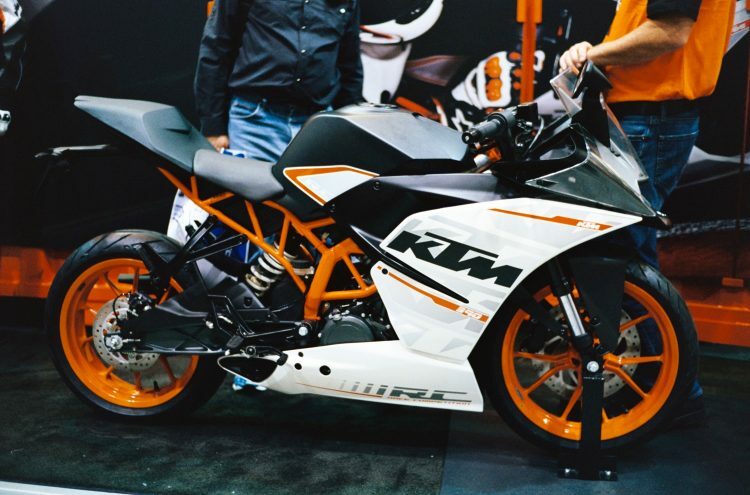 With some research and diligence buying at motorbike auctions can be a great way to save a few bucks. • Have a good thorough look all around the bike, checking for any signs of crash damage. If there is anything about the bike you are not happy with then simply walk away and look for another. • Check all the panels, guards, mirrors and seats for rips, tears or scratches. Check the engine casings for signs of damage or replacement due to damage. Check the rear foot brake works and is not bent or broke and the same with the gear lever. • Have a look for water or oil leaks, especially oil leaks from the front forks and the rear shock as these can be expensive. • Check the brake and clutch levers for smooth travel and to see if they are bent. Bent levers are a sign the bike has been dropped. If you also look at the adjuster on the clutch lever, this will give you an indication of either how worn the clutch is or how far the cable has stretched. • Check the actual wheels for any signs of damage especially at the edge of the rims. Tyres for tread depth, and check wear patterns which can be a sign of how the bike was treated. • Check the brake discs for wear. If you can feel a lip at the edges of the disc then this would mean the discs are worn and would need replacing. • Check the chain and sprockets. If the chain looks a bit old and worn try to lift the bike on the centre stand if it has one or lean it over onto the side stand and spin the wheel. The chain should spin freely. If there are any signs of a tight spot or the chain jumps then this is a sign the chain needs replacing. • Whilst the bike is up on its centre stand or lent over on its side stand, gently rock the front forks back and forward to check for wear in the headstock bearings. You could do the same with the rear swing-arm rocking it gently from side to side and up and down to check for swing-arm bearings rear wheel bearings and rear shock wear. • While you are checking the front forks have a look at the chrome parts to try and spot any rust or pitting as this will soon destroy the fork seals. • Without the engine running twist the throttle wide open and on different steering locks let it go. It should return to the stop position on it’s own. If it doesn’t it could mean the throttle cable is routed wrongly or the inner cable has frayed and is snagging the outer casing or maybe a carburetor problem. • Take the bike off of its stand and hold the front brake on. Now push down hard on the handlebars to check the front forks don’t bottom out and that they return smoothly without bouncing. • Check under the front foot pegs for scrapping. This would indicate either the bike has been dropped or it has been round a track at some time in its life.